My previous post about the Blu, now I'll write about other Twitter Client applications. This application in my opinion is very interesting and interactive and also not less interesting with Blu. I hope you also like this application. This application is called Seesmic Look. 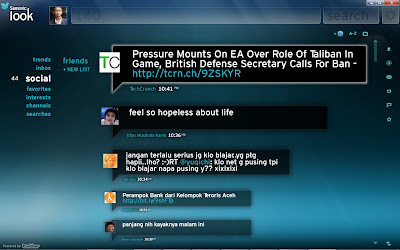 Look Seesmic is a Twitter Client application that you can get in http://seesmic.com/seesmic_desktop/look/. 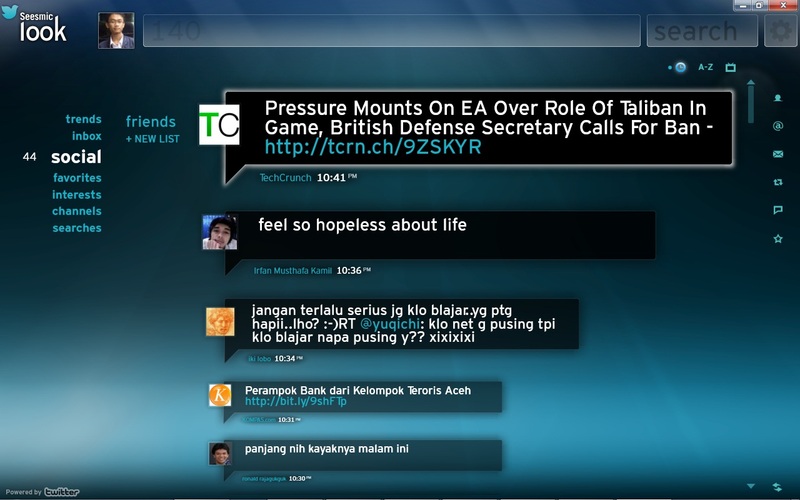 With the user interface of this application that so interesting and optimized for Windows 7. Certainly supports touchscreen capabilities in Windows 7. If you are interested try to visit http://seesmic.com/seesmic_desktop/look/. For users of Windows 7 is no problem using this application. But for other, this application require .Net Framework 3.5. Try this application to your computer.